This is one episode that teachers can not miss. I have been lucky enough to catch up with the happiest teacher in the world, Naomi Hartl. Not only is Naomi full of energy and enthusiasm, but she is also a tech wiz. Naomi lists her top seven tech gadgets, programs and apps for teachers. Not only are most of these resources free, but they are truly amazing and you must give them a go. 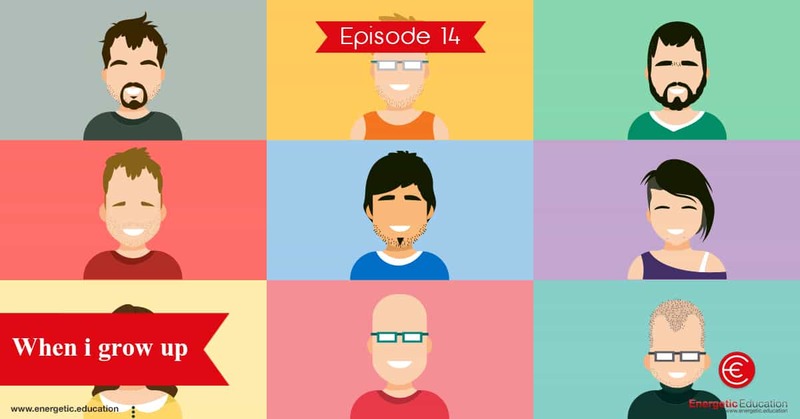 After listening to this episode I have a number of new tech ideas that I need to try myself. Naomi is well ahead of the game with everything she does, and this episode is full of her knowledge and passion. Below are the links for everything mentioned in this episode. If you would like to make contact with Naomi, or simple follow her on twitter @misshartl. Thanks so much for todays episode Naomi, you are truely a Tech Teaching Super Hero. 6. Live video delay is only available in the US app store. BAM video delay is another option, but it is not free. 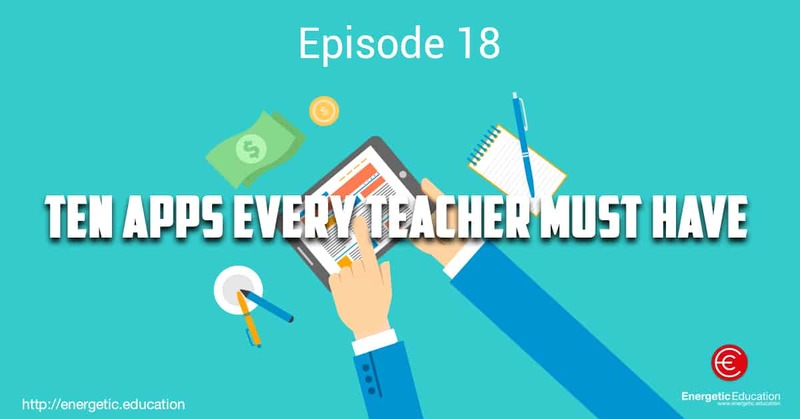 This episode is quite short and sharp, it’s basically a reminder to teachers that we are there to educate and work hard, but also have fun and enjoy every day we have in the classroom. 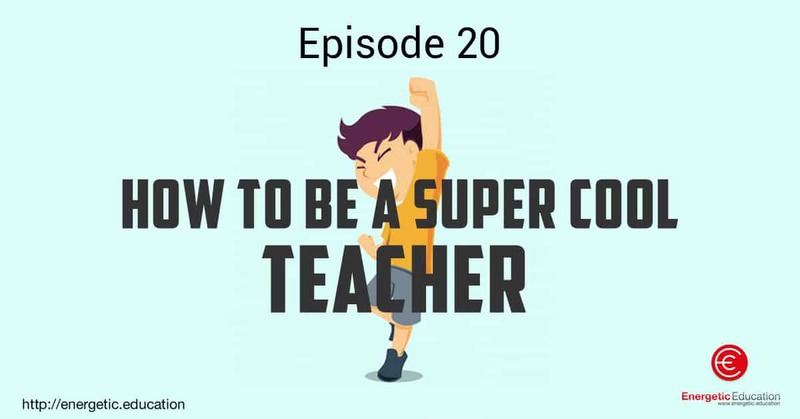 I will discuss five easy steps that you can add to your teaching to become a super cool teacher. I’m sure most of you already do these, but it’s always good to have a little reminder that fun, laughter and play is the best way to learn. Hopefully you can have a laugh at some of my favourite dad jokes or take away one little gem from today’s brief episode. It felt like the right fit for me to make the podcast, about creating an app. The reason for this is most weeks I have people come up to me and say “I have the best idea for an app”. It seems everyone has an idea that’s going to make him or her the next Angry Birds app or Paper Toss, making millions of dollars’ revenue a year. So here we go, I want to try and write a simple guide so people who have these amazing ideas can transform them into reality. 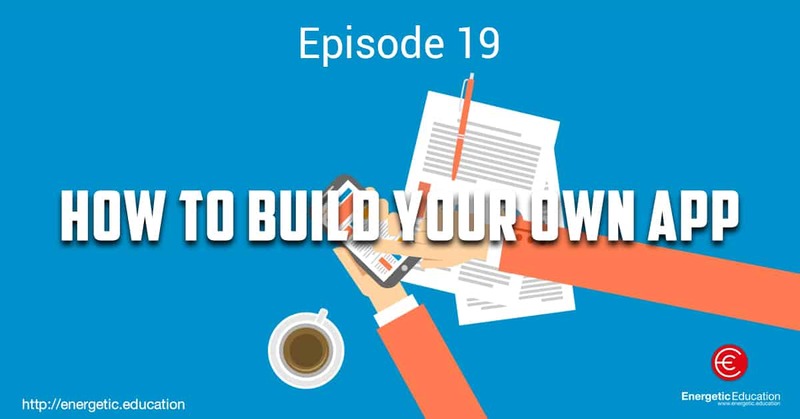 The one thing most people don’t realise is that there are a number of steps involved, a lot of different skilled people you need to have working for you if you are outsourcing all aspects of the app. The steps in making an app involve, having the idea, how you think the app will work etc. The next thing you need to do is sketch down how the app will look on paper, and what each button will do and so on. Then you need to send these sketches to a graphic designer who will design the graphics for you. Once the graphics are completed your next step is to send then to a developer who will write the app code and transform your graphics into a work of art. Once this is complete you will be sent a test flight model of your app to your device, where you are able to use the app and see if it functions how you want it too. Finally, you will need to set up an apple developer account and submit the app to iTunes for them to review and post your app to the app store. Now that all seems like a lot to take in I’m sure, so I will break down each step for you and also the best way to go about hiring the professionals you will need to help you create your masterpiece. Once you have done these you can then find a graphic designer. Step two – Hiring a graphic designer to turn your sketched screens or mock ups into the graphics you will use for your app. With this process it’s extremely important that you are very clear with what graphics you want and their functions. The more detail you give to the graphic artist will enable them to produce the app to the standard and quality you are looking for. Here are some of the websites that I use. UP WORK This is actually the site I use to get my graphics and also find my developer, but I will talk about that in detail soon. On Up Work you can create an account for free and post the job that you are looking to have completed. Then graphic designers from all over the world will give you quotes at how much they will charge. My biggest tip is don’t award the job to the cheapest quote. Check out all the designers’ portfolios and pick one that has great reviews and a high quality portfolio. 99DESIGNS is another website where you go on and post the job you are after. The quality of work on 99 designs is normally a little bit better then Up Work, but it is also more expensive. Both sites offer top quality graphic designers at a fraction of the price. FIVERR is the cheapest option and probably the most interesting. This website basically offers anything you want for just $5. Here you can get app icons, splash screens, logos and basically any sort of graphics created for $5. It is a great option if you are trying to work to a budget, but the old saying, “you get what you pay for”, might be worth remembering. Step Three – finding an app programmer to put your graphics and ideas into a working application. This step again is about selecting the right person for your job. For all my apps I have hired through Up Work. This is the same as when you post a job for the graphics, but this time, you will include a very detailed summary about your app, how it works and what functions it needs to have. Then along with your graphics you will post them and wait to see what developer best suits what you are after. Again don’t always go for the developer who quotes the lowest price. Check out their portfolio and also their feedback, as this will give you a good indication about the quality of work they will produce. I have been lucky in this regard, one of the first programmers I hired was very good, and he has been extremely helpful with advice and assistance with all of my future projects. The best tip I can give you here is, once you find either a graphic designer or programmer that is very good at their job and has great communication skills and feedback, only use them. Step Four – Once your app has been completed, and you have tested it on your device, it is time to submit this too iTunes. Again this is something that is quite complicated, so when I post my job for the programmer, I also put in the agreement that they will submit and upload the app in my account to apple. You will however need to set up a developer account with apple; this costs roughly $100 a year. Finally, I wish you good luck, enjoy the process but don’t count on making millions overnight! Apps are a fantastic tool and can make you money, but it won’t happen overnight. If you have an idea and you know this will save you time or be useful for you in everyday life, then I’m sure others will feel the same way. Please feel free to contact me if you have any questions about anything I have written, I will be more than happy to help and pass on some of the things I have learnt since I made my first app over four years ago. Do you like our podcast, we would love to hear from you, either through email or a review on iTunes. Have a great day, from Dale and the Energetic Education Team. In today’s episode we discuss the importance of starting the schooling day with a fun and engaging activity. 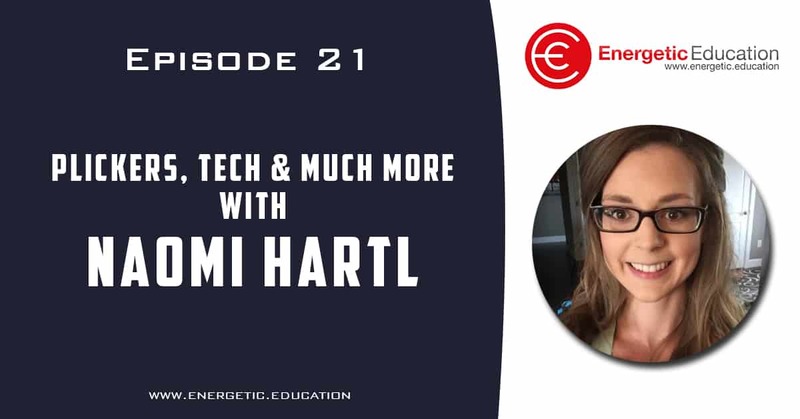 There are numerous benefits to doing this and we will discuss these and more in episode 16 of the Energetic Education podcast. 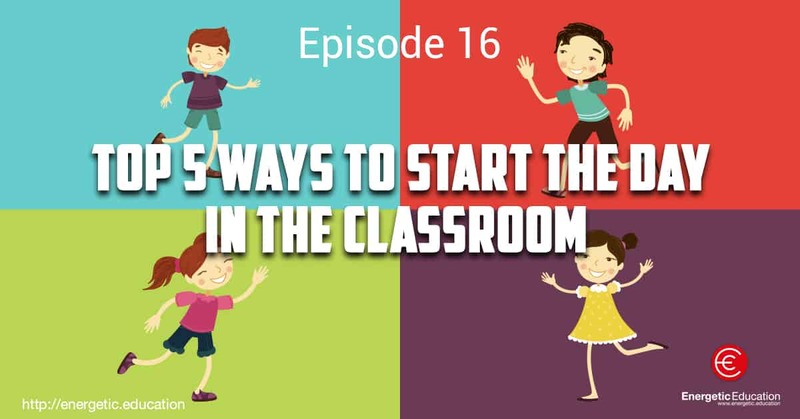 Starting with a fun and exciting activity you set the tone with high energy and a supportive atmosphere where students feel happy and confident to do their best for the day. The following five different activities for each day of the week will encourage students to work in teams and solve problems as a group. Your day as a teacher will be more enjoyable; students will be ready to absorb the day’s activities in a creative and happy classroom. The final benefit is that if you make this part of your daily routine you can start to get students input and the student teaching focus can come into play. Below are the five different activities that we recommend you start your day with, they don’t have to be in this order for these days. We will provide three examples for each day, if you decide to give this a trial you will have three weeks of material ready to go. Who am I? I have a heart that never beats, I have a home but I never sleep. I can take a man’s house and build another’s, and I love to play games with my many brothers. I am a king among fools. Who am I? Answer – I am the King of Hearts in a deck of cards. What’s full of holes but still holds water? Answer – A sponge! I can be cracked, I can be made. – I am a joke. We would love to hear from you, or if you have any feedback regarding other great morning activities please hit reply and send them through to us. You can find more of these games for free by checking out our BreakAppz website, or by downloading our best selling app ClassBreak which has all these categories inside it and much much more. ClassBreak is available on the iTunes store and also the Google Play store, please see the links below. In today’s episode I am really lucky to catch Nathan for a half hour chat before he starts his day teaching in Singapore. Nathan is someone that I have followed and had regular communication with on twitter for the past four years. We finally met in person in Dubai this year at the ‘Connected PE conference’. It was great to finally meet Nathan, and I wanted to share his journey with you. The main area that I get asked a lot about and Nathan has done this for years, is teaching in international schools around the globe. Nathan talks about his journey starting from growing up in Tasmania in Australia, where his life was all about sport, as his mother and father lived and breathed it. 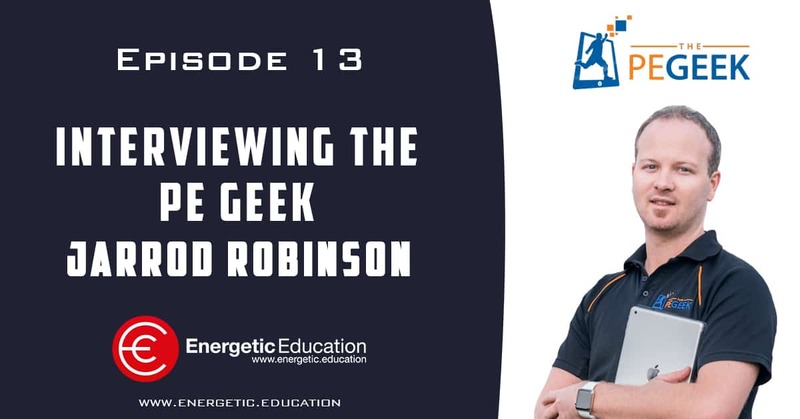 He then talks about his journey from Tasmania to the UK, from the UK to Cambodia, Cambodia to Italy, and then Italy to where he currently teaches in Singapore. 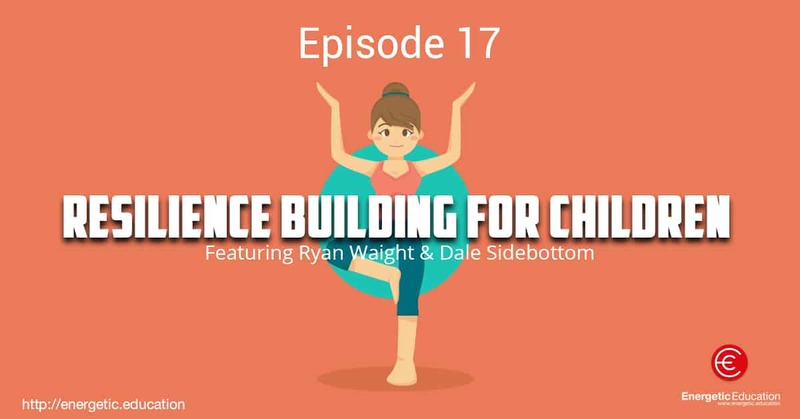 If you are interested in teaching in international schools, then I would highly recommend listening to this episode. We also spoke about the amazing work he is doing on his blog and personal website ‘iPhys-Ed.com’ and the workshops/initiatives he has coming up. If you do not follow Nathan on twitter I would change that right now, his twitter handle is @PENathan. Reach out to him and say how much you loved his interview. The other things that will be discussed are ways to engage students using go noodle, how effective ‘walk and talk’ can be with students and much much more. You can check out Nathan’s upcoming workshops HERE. 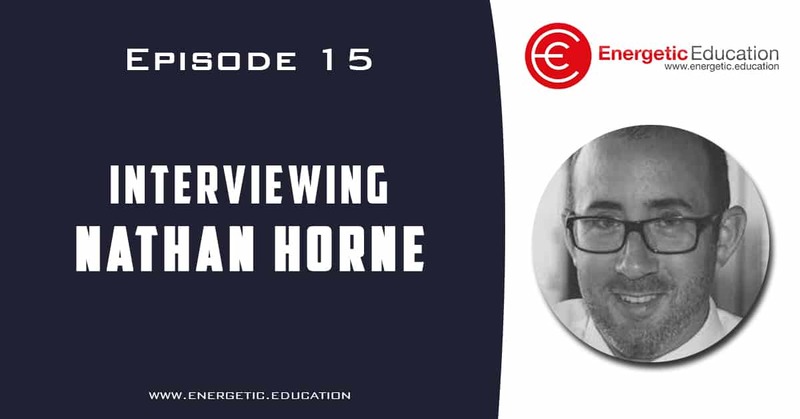 I really hope you enjoy this episode as Nathan Horne is a gun and someone that is changing the way we think about teaching and learning. Have a great day everyone. The Teacherpreneur (I was lucky enough to be featured a couple of weeks ago in one of his articles, if you haven’t read this I would highly recommend it. It is written in such a professional way that really outlines why Jarrod is the best in the business and one that you should be following. Click HERE to view this amazing article). What inspired Jarrod to become a teacher? Jarrod finishes with his best advice for new and existing teachers on creating something to be proud of and how to produce something special. Today you are going on another story based fitness adventure. This 8 minutes guided workout will have you competing in the hardest cycling event on the planet, The Tour De France. If you have never seen or heard about this amazing race it is your lucky day, as you have just received a golden ticket to be part of the race. Simply find some space, and get ready to perform a fun 8-minute workout while you try and win the race and the yellow leaders jersey. If you would like to see me demonstrate the movements, simply click on the YouTube link below and you can do the exercises with me. Be sure to check out our other podcast fitness adventures. They are all different and extremely fun. 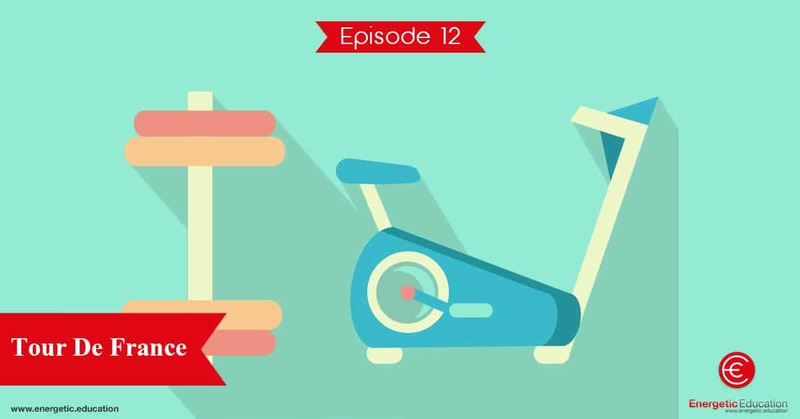 This is the new way of exercising, children and adults would really benefit from this podcast.